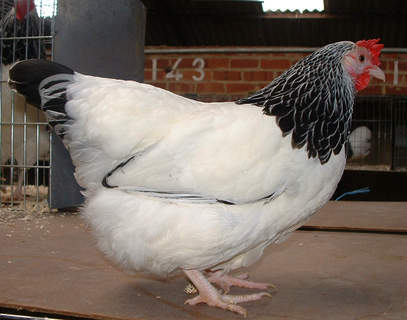 The Sussex Bantam originates in Britain in around 1920 and is a dwarfed version of the Sussex. 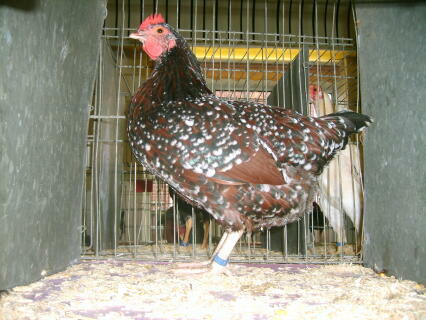 It has a rectangular body shape, medium long tail feathers, broad, deep breast, red earlobes and a featherless face. The comb is medium sized and single and the eye is red. 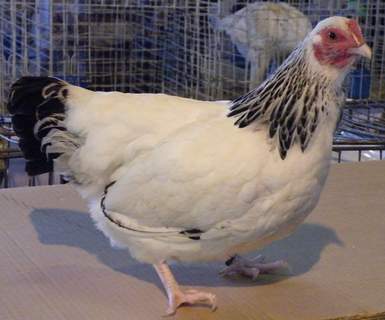 The Sussex Bantam has featherless white legs and 4 toes. 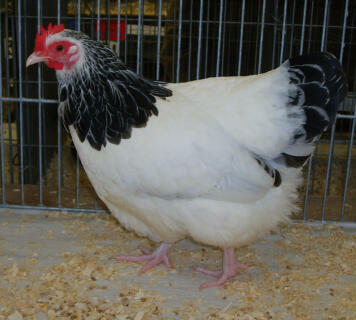 They have a placid nature and are adept at coping with bad weather. They are easily tamed and will do anything for a treat. 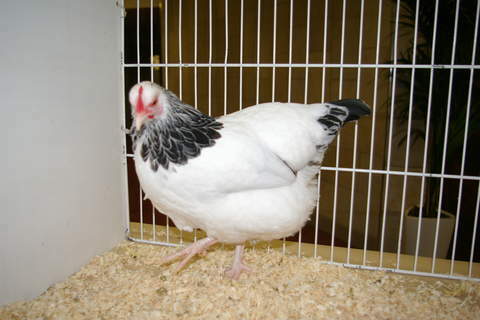 They make superb pets for children as they are affectionate and rarely show aggression in any form. 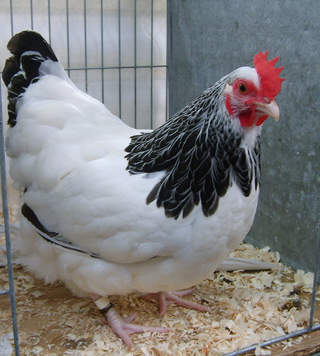 They are excellent layers and often continue producing eggs throughout the winter. 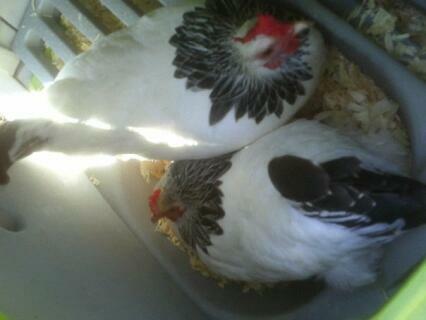 The hens make excellent broodies and wonderful mothers. 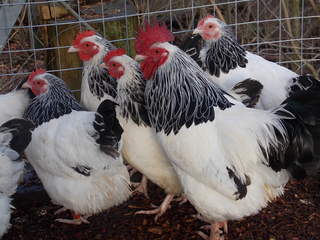 Columbian, buff Columbian, red Columbian, grey, silver, red porcelain, white and Columbian blue marked. 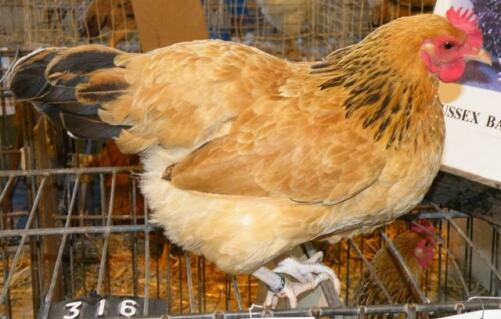 I have a pair of Bantam Light Sussex and they one of the best breeds ever. 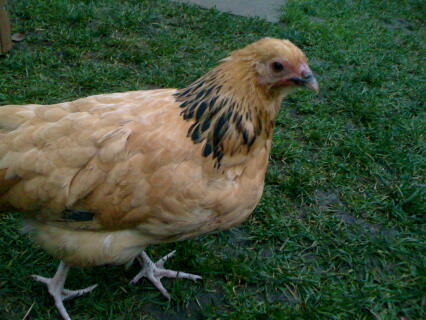 Mary, the female, hasn't laid any eggs yet since it is winter but when I brought a silkie pullet, she adopted it as if it was her own chick. I wasn't sure if the rooster would take to the chick as the hen did but he also became protective of the chick and now no other roosters are allowed near the hens. 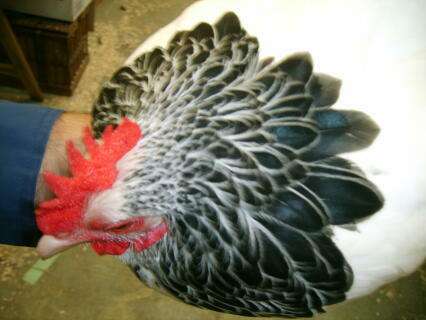 These chickens are also very friendly towards people and little children and i hope to have more in the spring. Excellent layers, great mothers. I bought a trio that didn't make the show grade, however to my family they are priceless now, i paid £20 for them! 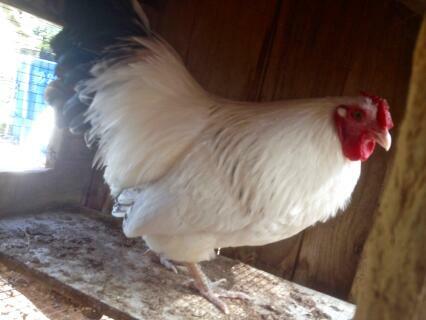 This year we've had 19 chicks off the two hens, who were superb in brooding their young. The eggs also taste delicious, i'd say two Bantam eggs make up one 'normal' size egg. 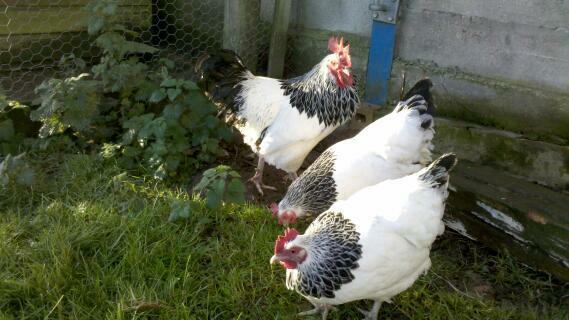 The chicks have gone to friends and family who want to get into chicken keeping and they are a good hardy starter bird. 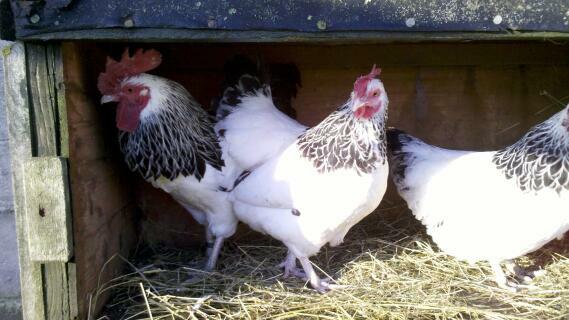 Of the two hens we would usually get about 10 eggs a week which is more than enough for a family of four. 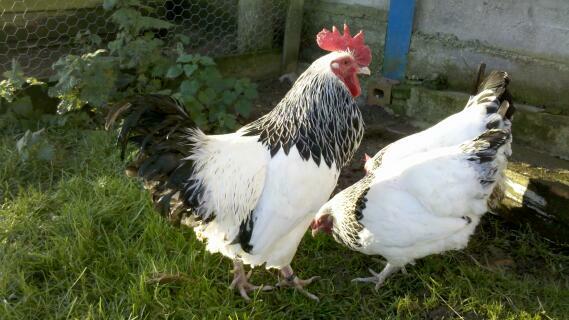 I have 2 bantam sussex hens, one is a golden honey colour and the other is white. 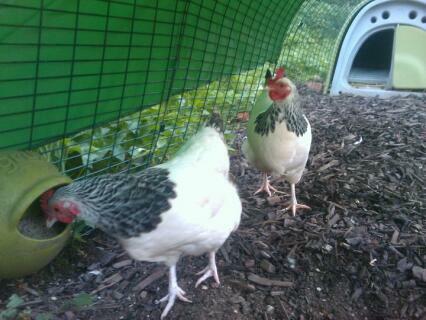 They are both very hardy birds as they survived 2 winters. I have a normal sized speckled sussex rooster, he tries his best to protect the hens from other animals, but he is friendly around humans. 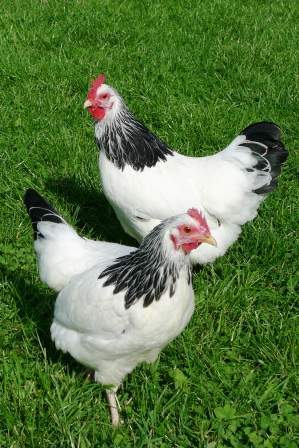 Our little sussex bantam hens are an extremely broody pair we are currently trying to hatch some frizzles using them as surrogate mothers with just a week to go chalk and cheese are still sat diligently in their clutch, will edit post next week and let you know how they are getting on.